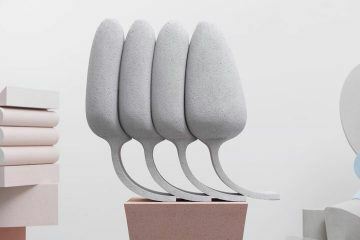 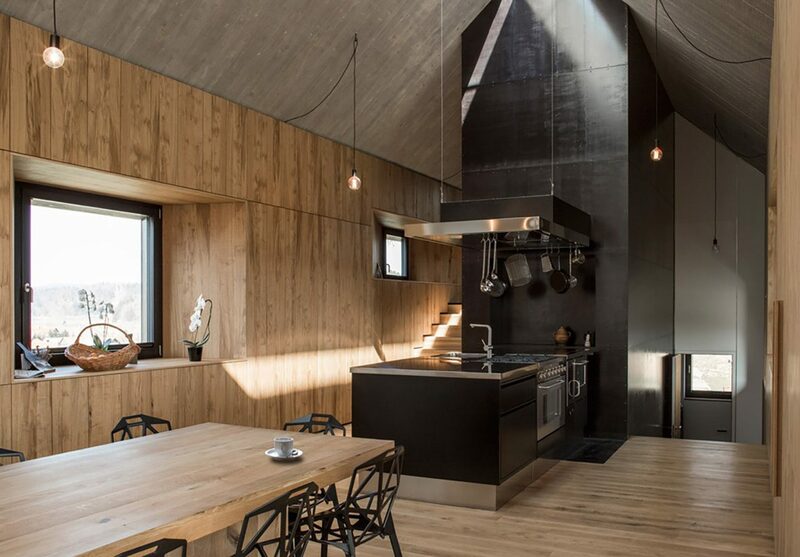 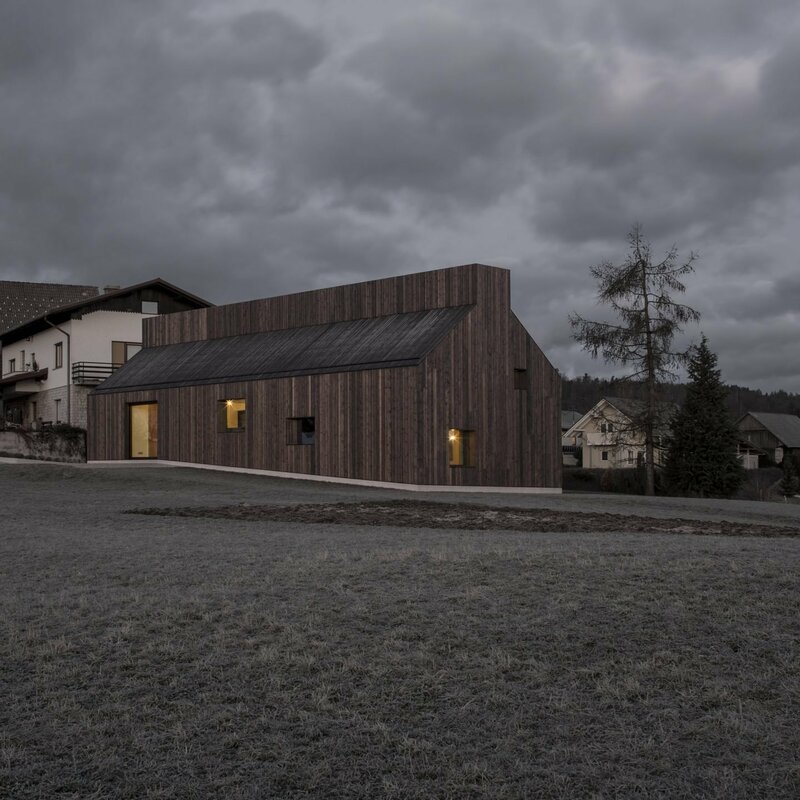 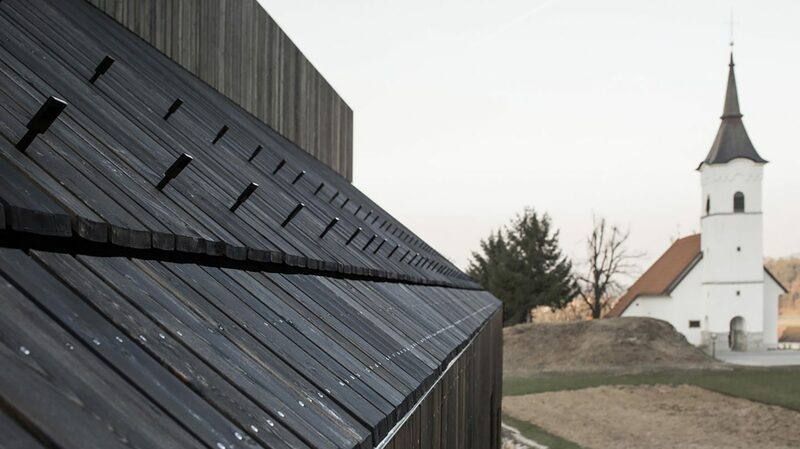 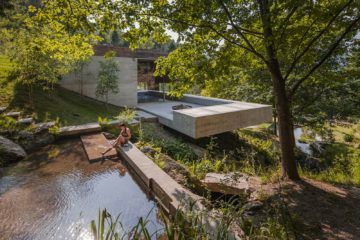 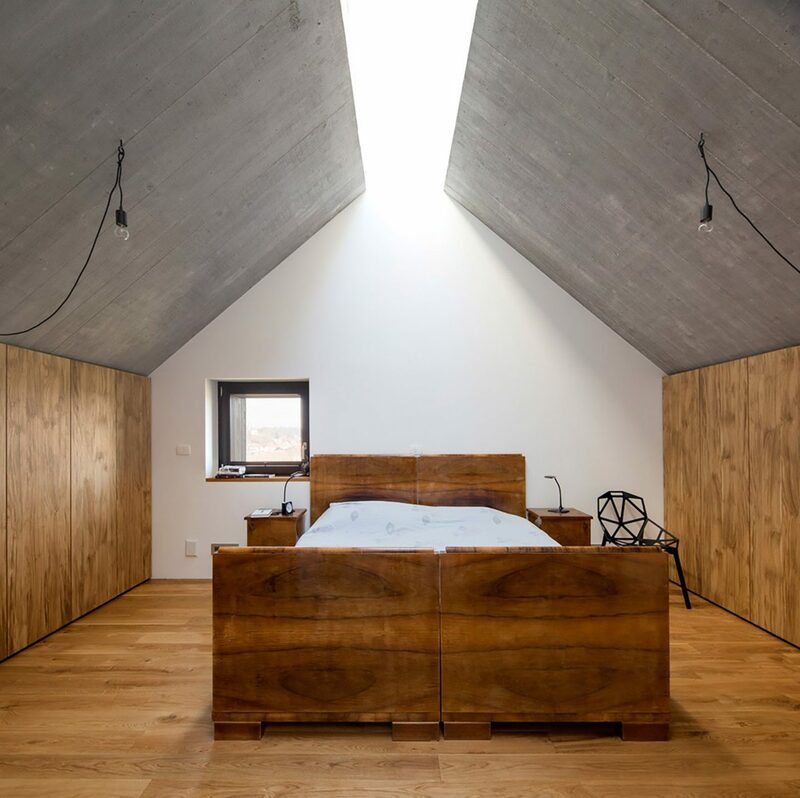 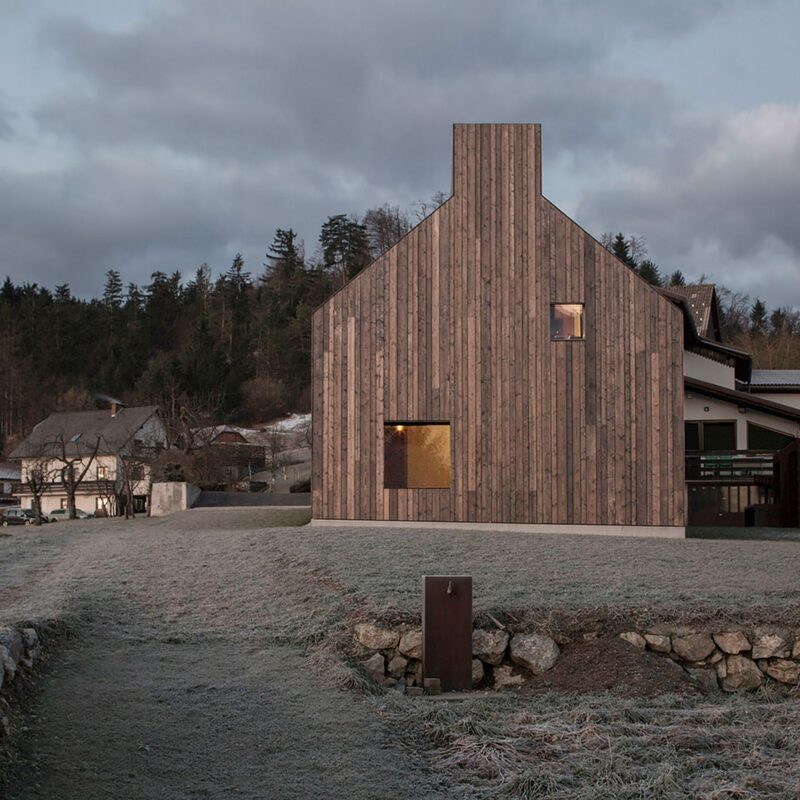 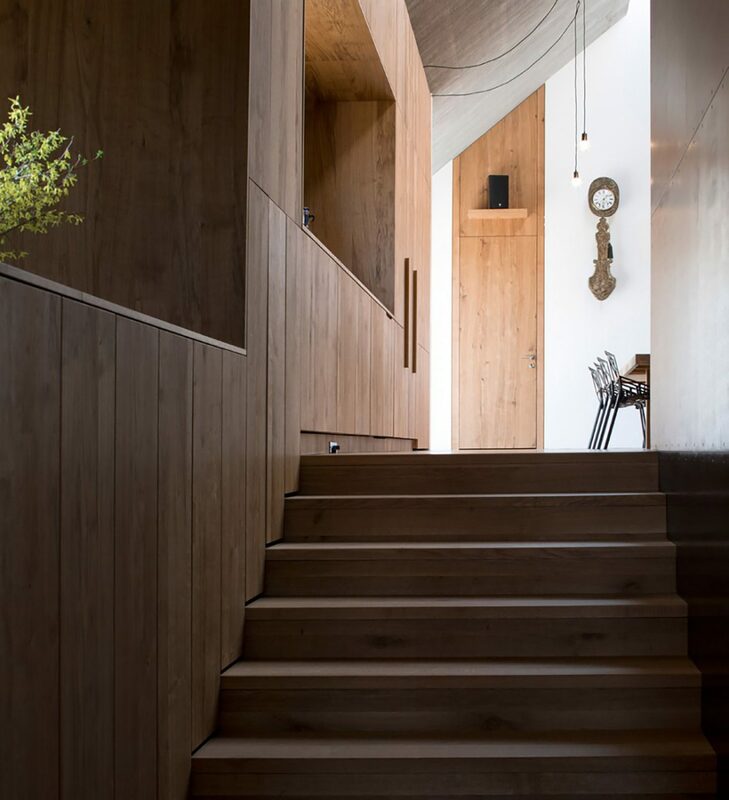 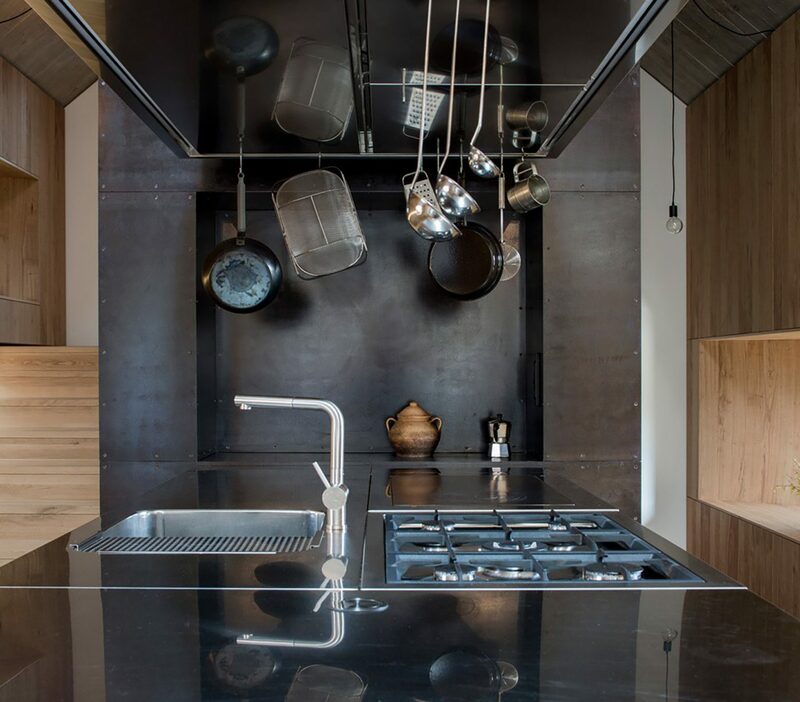 Set amongst the traditional homes in Logatec, the ‘Chimney House’ pays homage to Slovenian custom: designed based on the rules of local architecture, but with a twist. 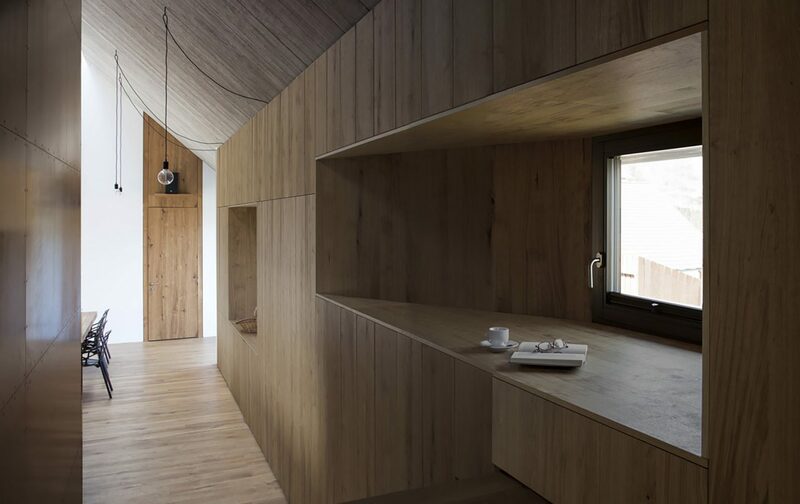 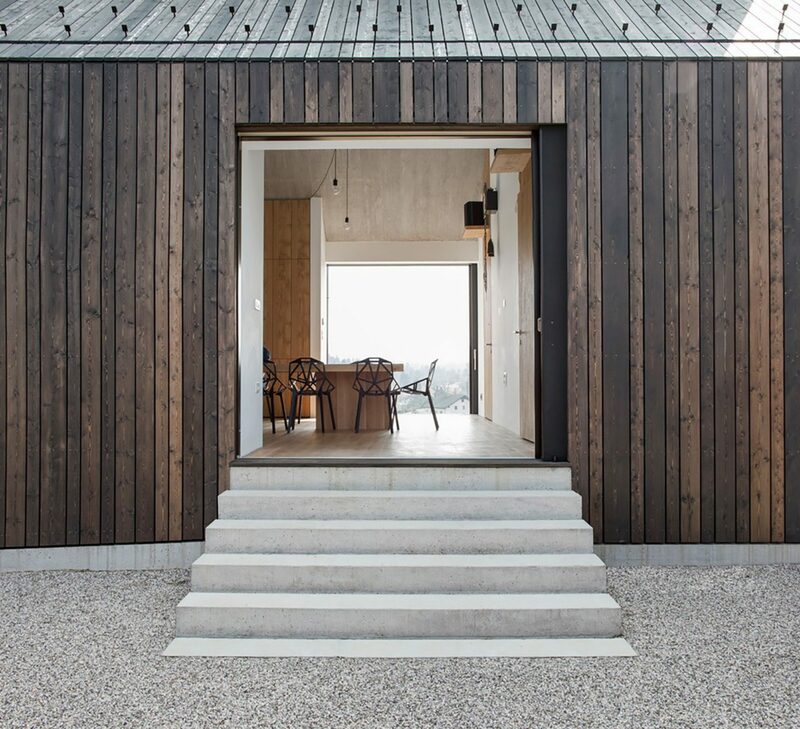 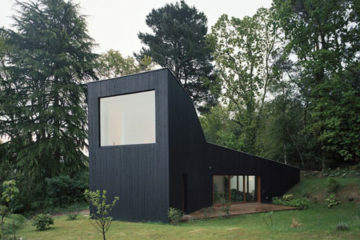 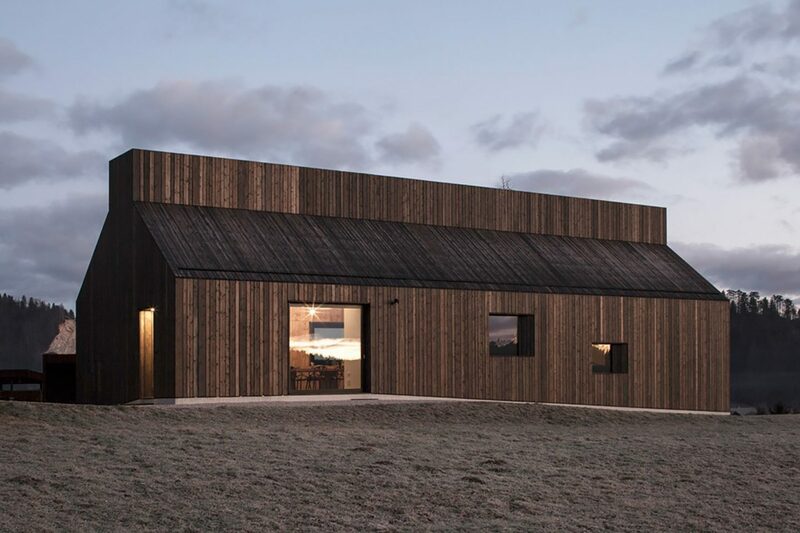 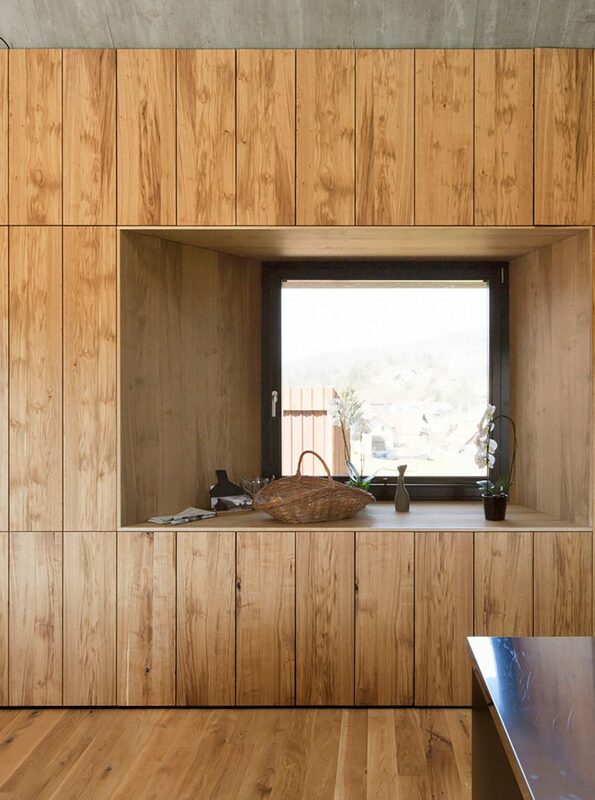 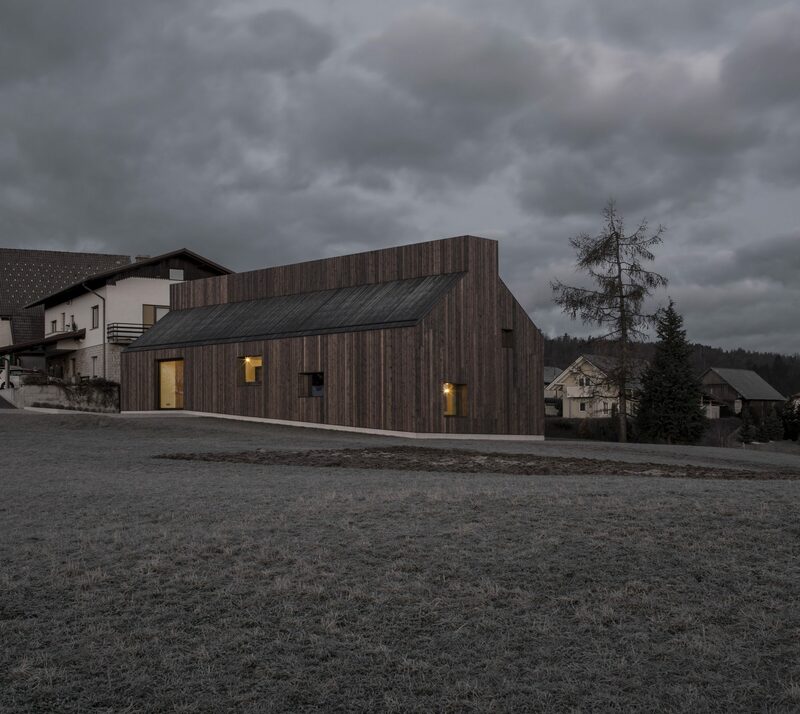 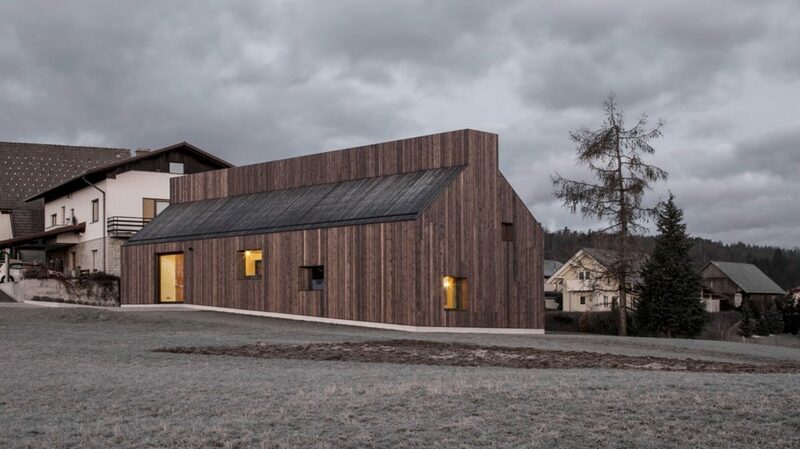 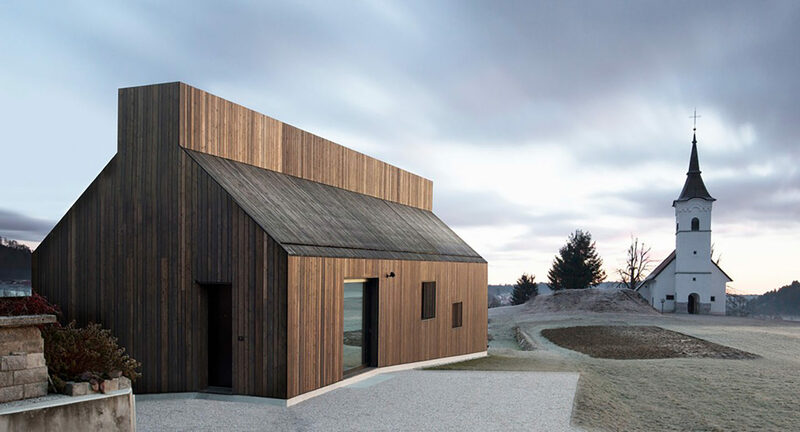 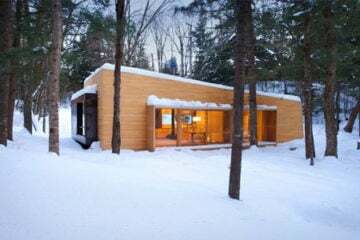 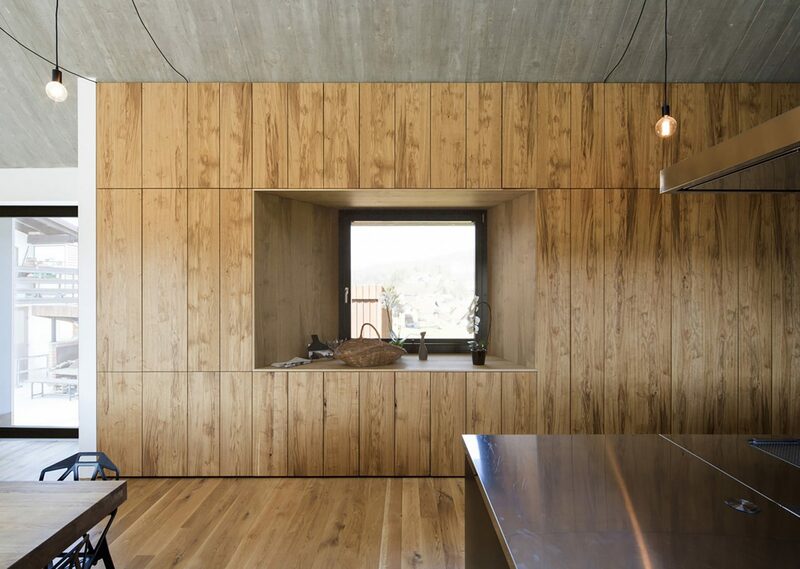 The structure, clad in oiled larch boards, has a materiality not dissimilar to the traditional barns of the region. 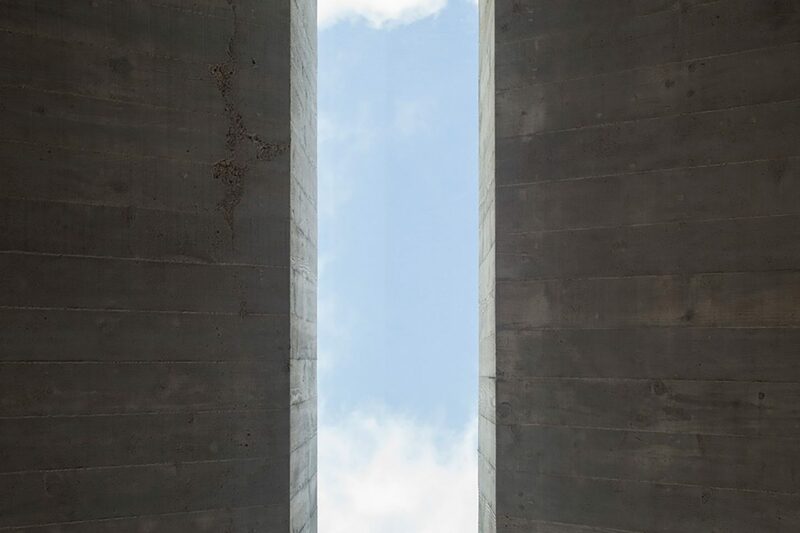 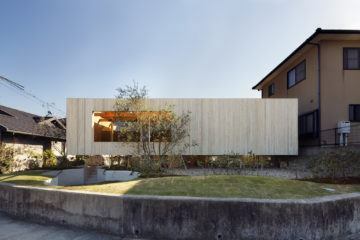 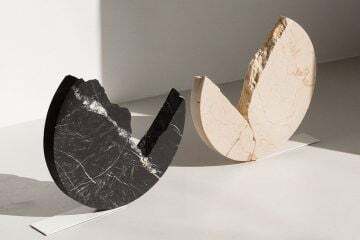 The simplicity of the external structure is mimicked inside, where concrete, light wood, and white walls are offset by soft lighting and minimal furniture. 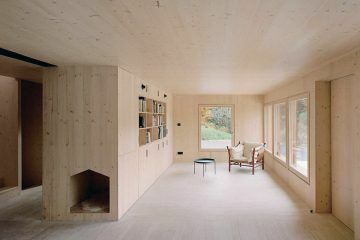 At the heart of the building is the hearth and chimney, from which the building takes its form. 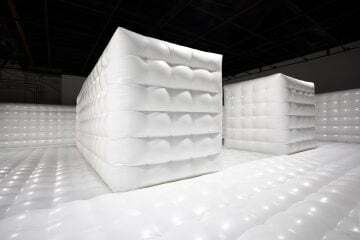 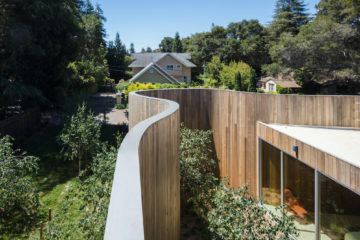 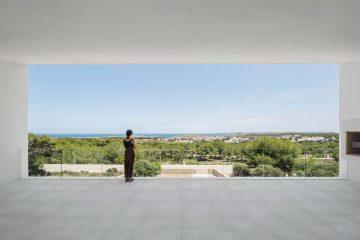 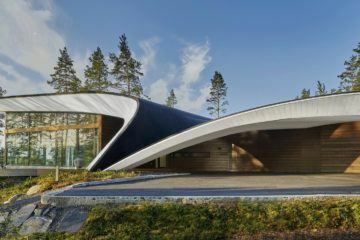 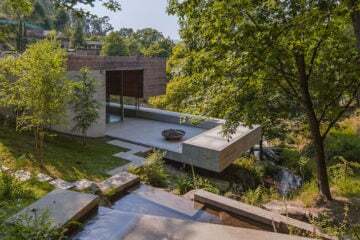 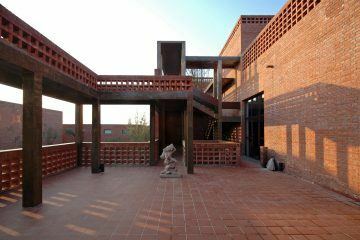 The interior itself is brightly lit by a spectacular skylight that runs the length of the home: opening it to the sky.